In the Cosmic Mirror universe, worlds are created within their own insular bubbles of existence. There's whole realities within them, so there's plenty to do and see, but you can also hop between them with the right kind of magic or tech, letting you experience different worlds unimaginable in your own reality. As such, the core rulebook for the game covers quite a lot, from high fantasy to high tech and everything in between. The book is up on Kickstarter now. 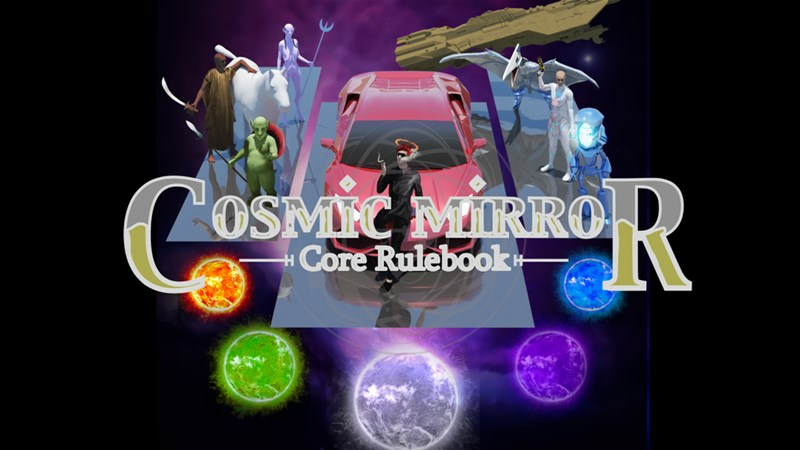 The Cosmic Mirror Core Rulebook is the base rules for playing games in fantasy, sci fi, or urban fantasy settings in the Cosmic Mirror system. It is also a necessary component for playing in all future Cosmic Mirror Games settings. The Cosmic Mirror setting features 30 unique worlds trapped in their own reality bubbles, able to be played insularly or cooperatively. If your play group seeks a great sci-fi setting, you can travel the stars and play with just this book alone. If your group wants a bit more chaos, you can take this book and future settings and throw it all together. Pit magic versus advanced technology, goblins versus robot alien races, and space travel beside distant teleportation magics. Every disparate element and system in this game can be played together. The project is up and running now. It's set to go for another 25 days.